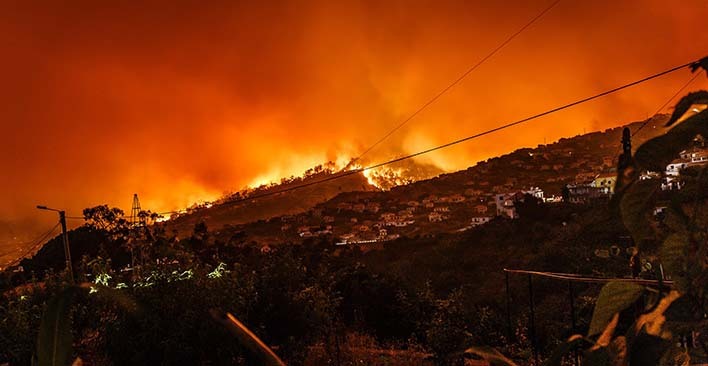 The Woolsey Wildfire started on November 8, 2018, and rapidly intensified into a destructive inferno that has destroyed homes and property across the Southern California communities of Westlake Village, Thousand Oaks, Oak Park, Agoura Hills, Calabasas, and Malibu. To date, the fire has forced over 265,000 people to evacuate their homes, has burned over 91,000 acres, destroyed at least 370 structures, and left at least 2 people dead. While authorities and officials throughout the State of California are investigating the official cause, a Southern California Edison report indicates that, just before the recorded start of the Woolsey fire at 2:24 p.m., the Big Rock 16 kV circuit out of SoCal Edison’s Chatsworth Substation, which is close to the fire’s point of origin, relayed a disturbance on the circuit – at 2:22 p.m. Most homeowners will have insurance in place to cover damage sustained to their homes and property by fire; but most people impacted by the destruction will not come close to being fully compensated for all their losses. Beyond the costs of property repair or replacement, they will suffer financial and life quality damages for evacuation and alternative living, lost income, personal injury and emotional distress. If the Woolsey Fire has affected you, we recommend that you consult with an experienced fire damage lawyer. Call the attorneys at TorkLaw today: 888-845-9696.